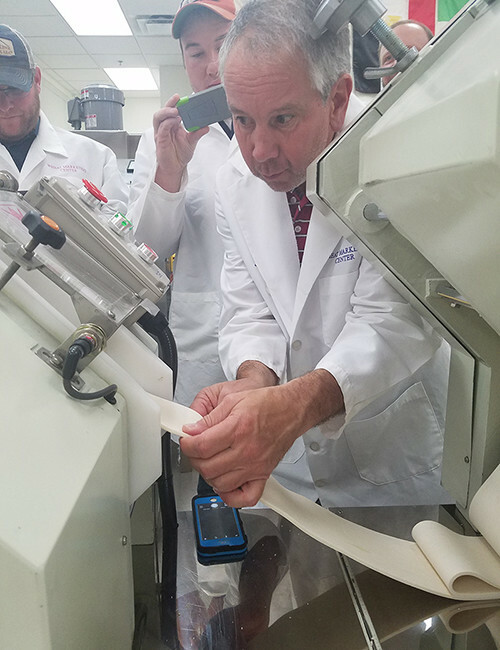 With generous funding from several state wheat commissions, Wheat Marketing Center acquired three major pilot scale production lines that enhance our research, product development and technical training capability. 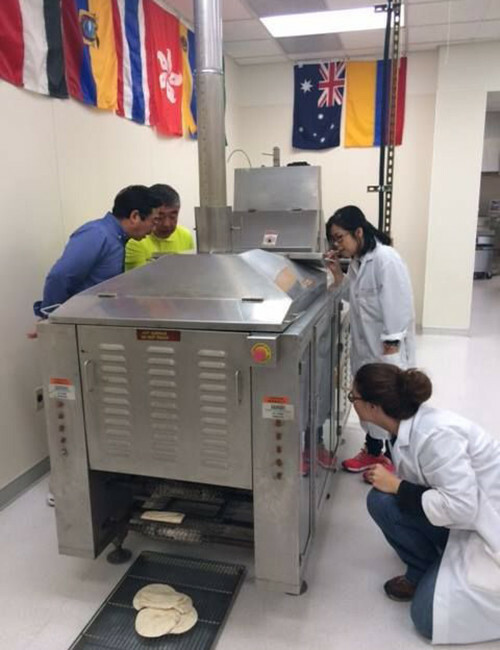 The Asian Noodle Line is a complete line including vacuum mixer, dough sheeters, a series of rollers, slitter, steamer, fryer, and dryer. 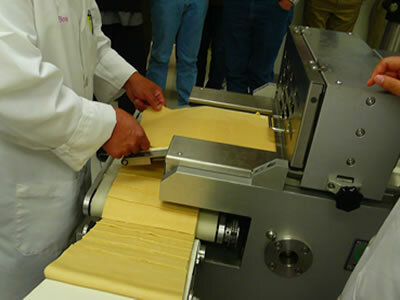 It mimics commercial noodle production and is very suitable for technical training and research and product development purposes. 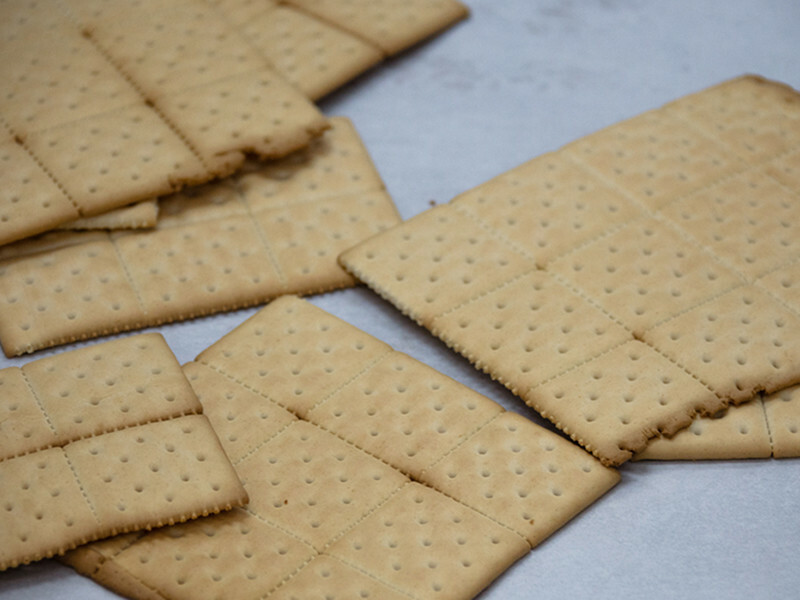 The Cracker/Biscuit Line, one of only two in the world, can be adapted to many types of products, including saltine cracker, snack crackers, Marie-style semi-sweet biscuits, and various types of rotary cookies. 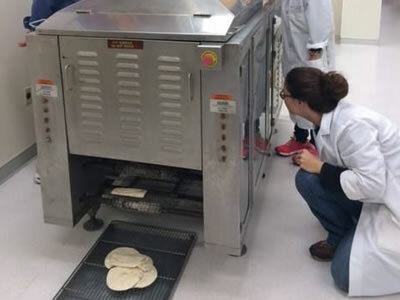 Our most recent acquisition, the Tortilla Line, enables WMC to build on its extensive research on improving whole wheat tortilla quality. 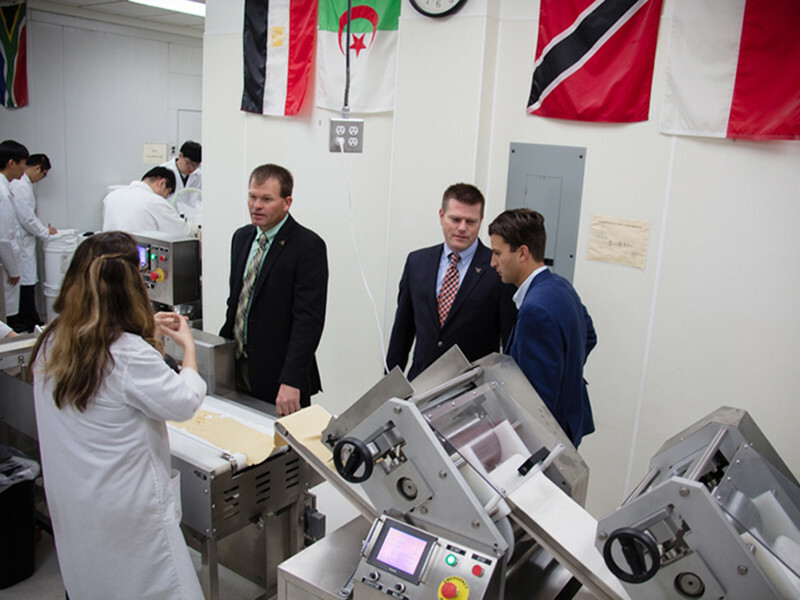 These pilot scale production lines are central to making the Wheat Marketing Center a unique research and training facility. 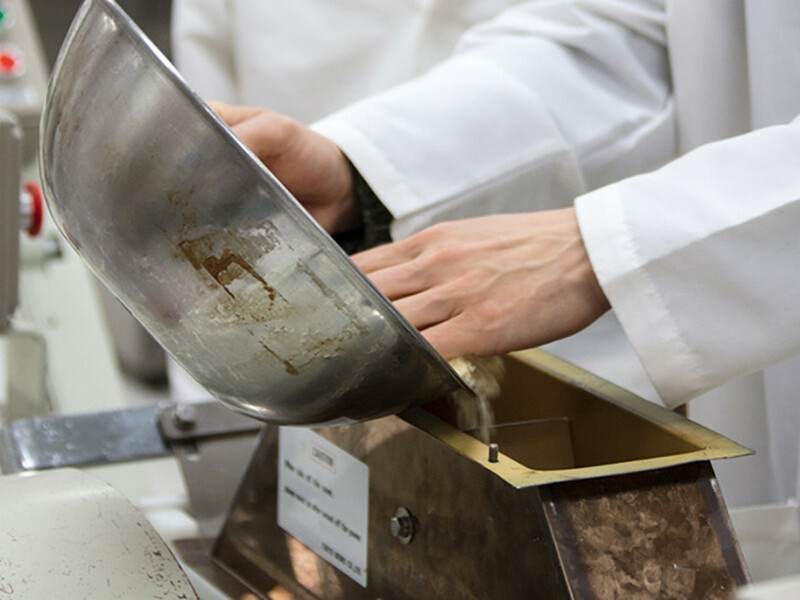 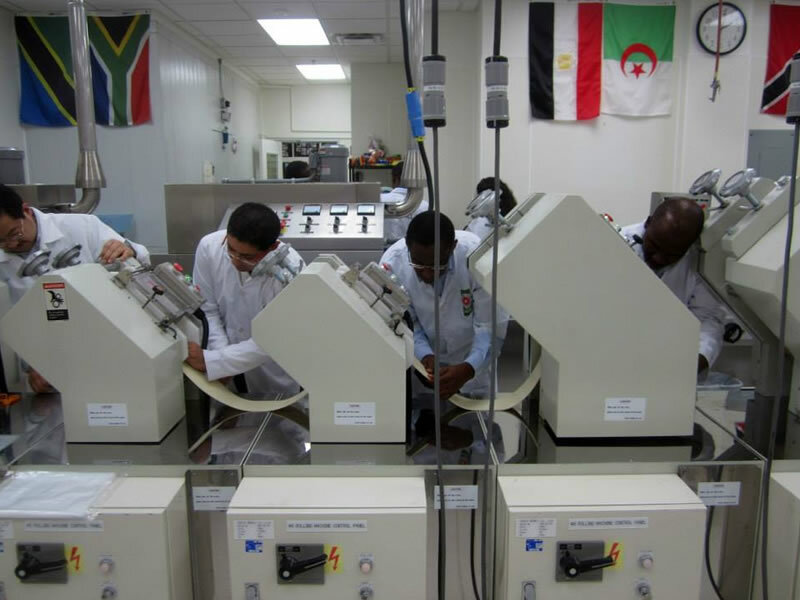 Technical course participants gain valuable hands-on experience by testing different flour blends, ingredients and manufacturing processes and then evaluating the results. 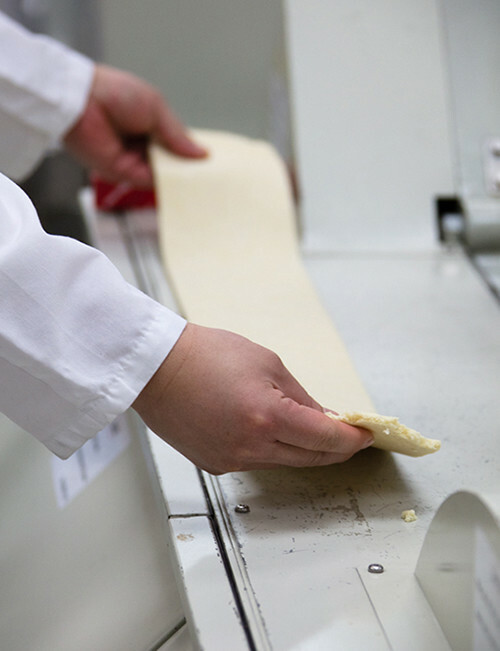 Wheat growers can see (and taste) end products made with their wheat and understand the difference that quality makes. 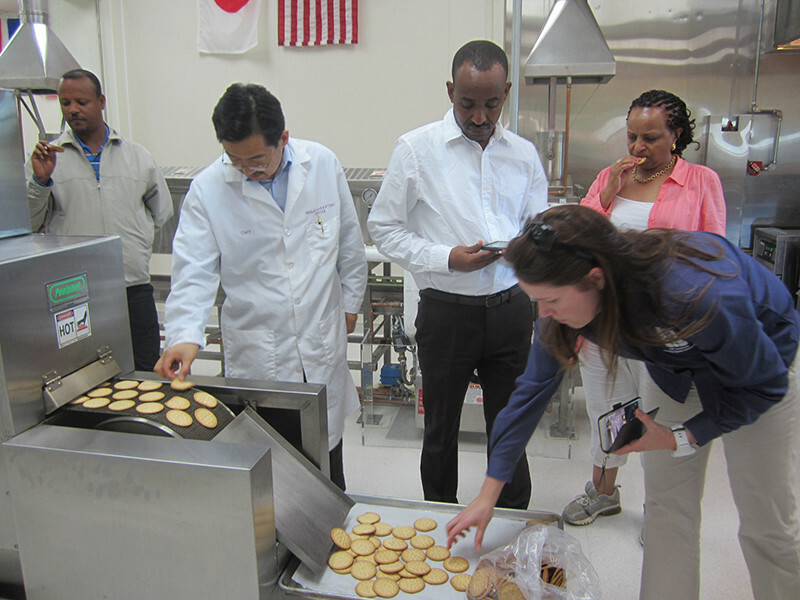 Private companies can utilize the pilot scale lines to develop new products and processes without having to interrupt commercial production. 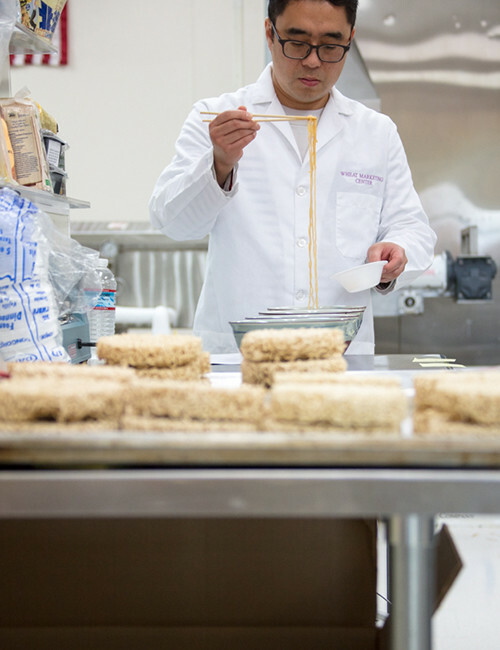 And the ability to make end products is critical to our research projects, both public and proprietary.